Join marine biologist Matthew McArthur as he talks about his experiences diving in Antarctica at the world’s southernmost dive near Scott Base, Ross Island. Swimming under three meters of ice is fine for penguins, fish and Weddell seals. Humans, though? It’s not our natural environment, even equipped with all the mod cons a cold water dive team could wish for. But beneath the sea-ice in the still, cold water that lacks light for much of the year is an abundance and diversity of colourful life: jellyfish, plankton, sea urchins, sea spiders, isopods, octopus, seastars and more. 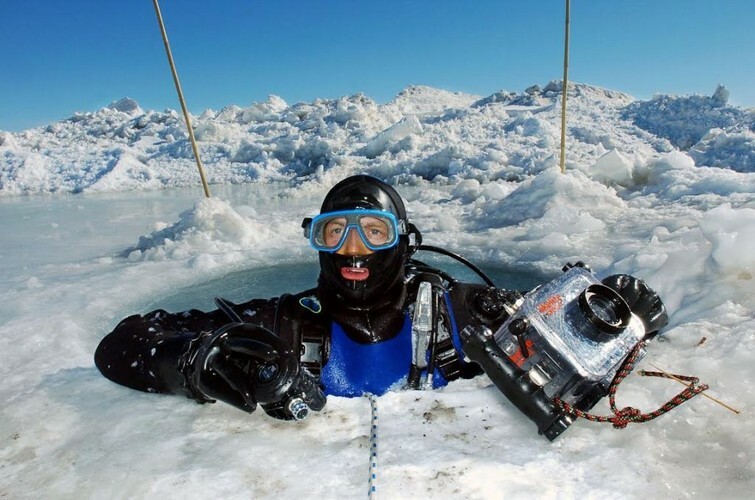 Matt will take in the history of human activity on Ross Island and its key role in many of the most exciting and most disastrous chapters of human endeavour in the Antarctic, the challenges of diving in -2 deg C water, and what can be seen in the sea beneath the sea-ice.